One of the goals of the Little Green Thumbs garden is to help students create meaningful, informed connections between the food they grow and eat, and the agricultural processes involved in producing it. Food production today is a complicated process we may feel disconnected from in modern life. This can make agriculture difficult for young students to understand, and the food system may seem even more opaque! In a vast sea of mixed messages about food, farming, and nutrition, learning more about our food system is key to making informed food-related decisions that have the power to improve personal health and the economic, social, and environmental well-being of our communities. We’ve compiled some quick activities below that you can use to make a connection between your garden and agriculture! Invite a farmer into your class or visit a farm. Discuss the differences between your garden and a farm. Discuss the ways that farmers steward the land and water. Check out your provincial Agriculture in the Classroom organization for help! Discuss a Farmer’s Reliance on Nature. Brainstorm all of the ways that farmers depend on nature. How do farmers work with nature and adapt farming practices? What are some natural occurrences that might cause issues for farmers? How do farmers plan for these natural occurrences? Explore the science and technology of Agriculture. Think about the tools that students use in the garden. How does using the right tools help to accomplish your gardening jobs more efficiently? Research different tools and technology used by farmers. How are some farming tools the same or different from the tools used in the garden? Relate Garden Challenges to the Farm. 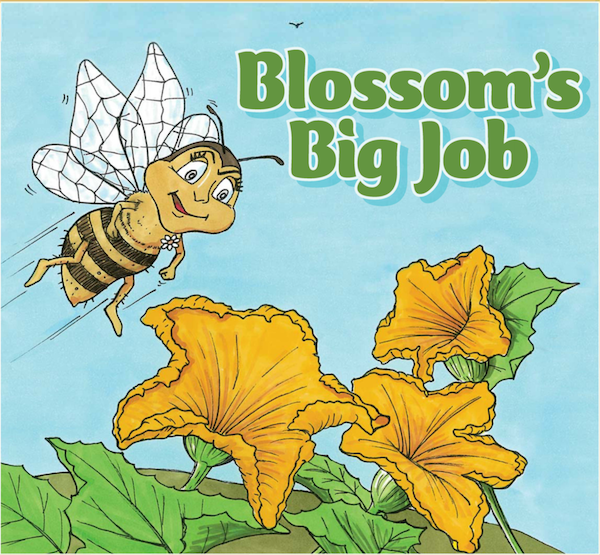 Relate the challenges in your garden – pests, water or air issues to the issues and uncertainty faced by farmers. Make a Business Plan. Develop a simple business plan to sell some of your plants or garden vegetables. What are the challenges you face? How does this relate to the challenges faced by farmers? Show Appreciation for Farmers. Have students write letters to a local farmer thanking them for their hard work and describing what they enjoyed about eating their products. Looking for more inspiration? 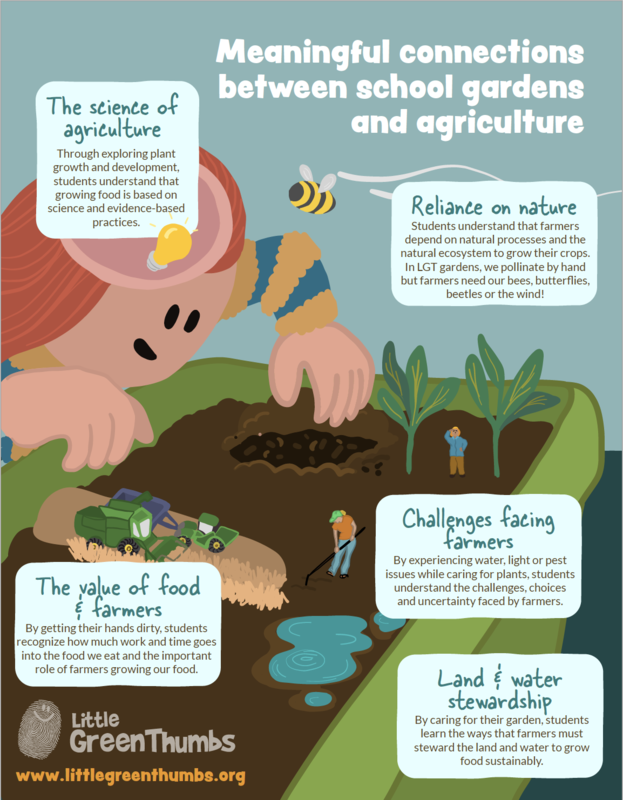 Check out Agriculture in the Classroom’s Educator’s matrix to find FREE resources to connect your classroom to agriculture!